The advertising in question was challenged before NAD by The Procter & Gamble Company, a competing maker of mascaras. P&G took issue with advertisements featuring visuals of model’s lashes and product performance claims related to eyelash length and volume. P&G asserted that the visuals were identical to those that appeared in Canada and the UK, together with a disclosure that stated “Lashes were enhanced in post-production.” NAD is an investigative unit of the advertising industry’s system of self-regulation. It is administered by the Council of Better Business Bureaus. Upon receiving NAD’s initial inquiry, the advertiser advised NAD that it had permanently discontinued all of the challenged print and broadcast advertisements prior to the challenge and affirmed that the in-store advertising would soon be replaced with new advertising. Interesting. 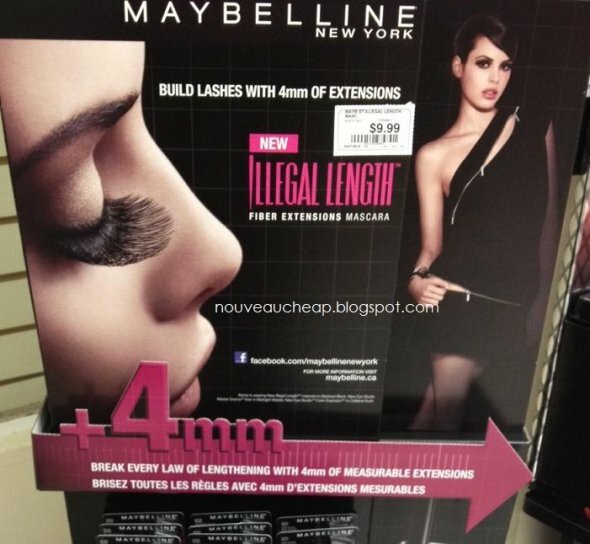 Note how they had to include a disclaimer, “Lashes were enhanced in post-production.” and it was still pulled for false advertising. Oddly enough I am in favor of realism in advertising.